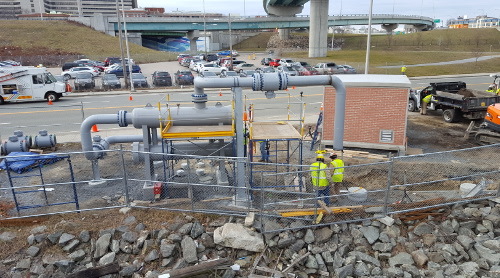 SA provided geotechnical and structural engineering services for new structures at an existing natural gas metering and regulating station in close proximity to complex infrastructure, with geotechnically challenging soils and environmental constraints. Stephens Associates Consulting Engineers (SA) geotechnically and structurally designed foundations for six new modular pre-cast concrete buildings and associated equipment to meter and regulate natural gas distribution at this existing facility. 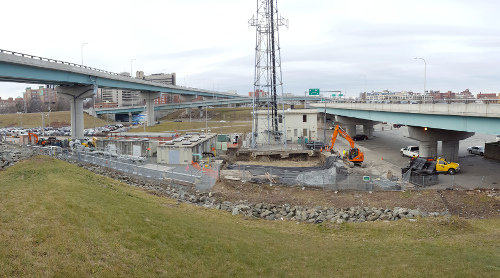 The congested Site is comprised of numerous existing structures at the interchange of I-95 and I-195, with elevated highway ramps crossing the Site, and an existing cell tower and a hurricane barrier embankment bordering Site. 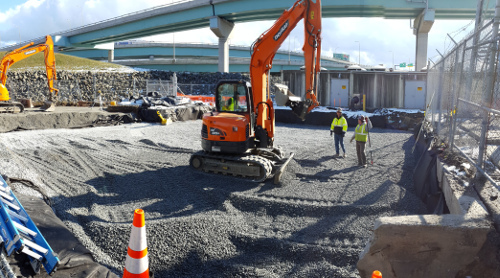 The Site is located in an intensely developed industrial area bordering the Providence River, with associated subsurface environmental contamination and loose silty and sandy soils. 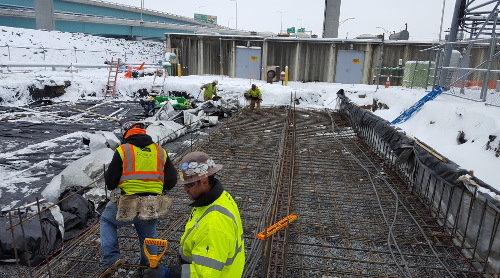 SA reviewed available subsurface data from the Rhode Island Department of Transportation (RIDOT) for the recent I-95/195 interchange reconstruction as basis for geotechnical evaluation, supplemented by Site-specific subsurface exploration, saving the project increased exploration and laboratory testing costs. 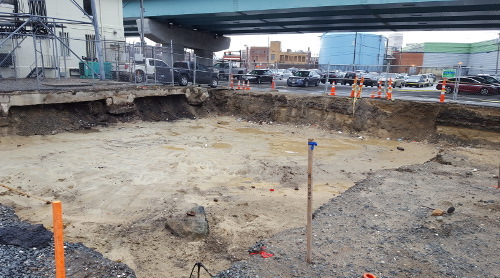 SA evaluated settlement and liquefaction of the very loose existing soils and consulted with Client to manage shallow foundation settlement while avoiding expensive deep foundations and ground improvement, and to address liquefaction risks. SA also designed shallow foundations to reduce excavation volume and associated expense of removing contaminated soils. 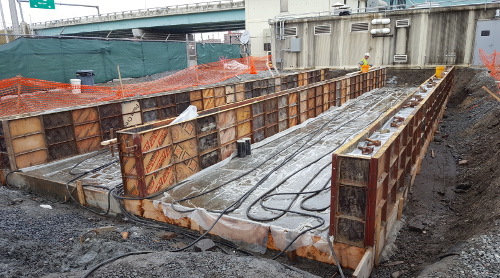 During construction, SA consulted on geotechnical aspects of foundation subgrade preparation during environmental remediation, such as minimizing the need for dewatering while achieving a suitable soil subgrade for the propose foundations. SA observed subgrade preparation and backfilling of the over-excavation on-Site for conformance with our recommendations and the contract documents.